Welcome to No. 1 Eighth (8th) Street, Astoria, OR! A picture is worth a THOUSAND words, but seeing for yourself is worth a MILLION. 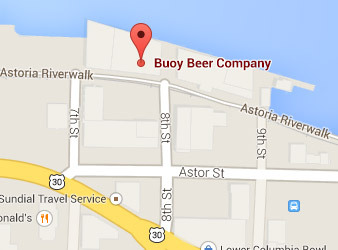 Come see us in ASTORIA! 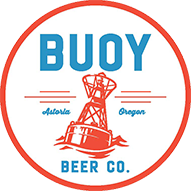 Meet the Staff – the PEOPLE who make Buoy Beer work. Did someone BUY YOU a beer? Check out our Future’s Board. READ about us in various web articles. Handcrafted with Pride in Astoria. 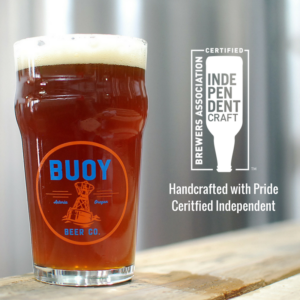 Certified Independent by the Brewers Association. It’s best to come visit, drink good beer, eat good food, and laugh with us in person – here at the taproom. If you can’t do that, it’s best to drink Buoy Beer wherever you happen to be and have fun with those you happen to be with. Next best is to share your good times with us on all those social media things that mimic real life. If none of those are possible or if you just need to talk about stuff, give us a call or shoot us an email at [email protected] and we’ll solve all of life’s problems for you.